With a whole lot more plot, this is a very different book than Moore’s last one. It’s a suspenseful page turner while February was much more an historical Newfoundland story and an exploration of grief and loss. February won Canada Reads last year. 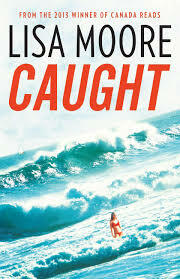 ‘Caught’ tells the story of a man who escapes from jail and flees across country, not to change his name and disappear, but to finish the massive drug smuggling deal he got caught for the last time! Several times David Slaney is nearly apprehended but for some strange reason he continues to slip through and is often let go. Patterson, the troubled yet eager detective, hot on his trail, works hard tracking Slaney down, but wants to catch more than just one fish! The plot is intriguing as it unfolds, and the story is compelling and kept my interest throughout, but I found it a bit too eloquently written for the drug dealing and suspense adventure storyline. 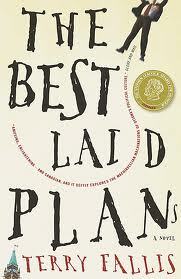 Perhaps a literary thriller is something to be applauded! But I still can’t decide if it was that incongruity or something else that made the characters seem a bit two-dimensional to me. The book had all of the right elements, but for some reason I had a hard time engaging with it which is strange because a literary novel should be richer and go deeper. Moore’s turn of phrase is breathtaking – her observations are so precise and beautifully described. I wonder if her descriptions made me trip over the race to find out where the plot was going? Maybe her style of writing better suits the more introspective February type of novel. Definitely a nifty new Canadian novel which many will enjoy, but despite being shortlisted for the Giller, probably won’t top the bestseller lists. If you have an iPad, you may have discovered it has a great app called Newsstand. I’ve also started reading my digital books on the iPad instead of my Kindle because the screen is backlit and I don’t need a reading light – great for late night or early morning reading in bed. I still have my Kindle and will save it for reading on the beach where backlit becomes illegible. Plus I feel a bit nostalgic about my first generation Kindle which has faithfully served me for years! 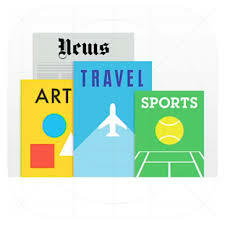 Newsstand is where you can buy yearly subscriptions to magazines on any subject you want from News to Knitting. The interactive quality of the experience on the iPad makes the reading experience a pleasure. And the subscription is cheaper than the paper copy. There are free magazines as well. Besides quilting and crossword puzzles, the only magazine subscription that I have ever felt was worth the money in recent years is this one. ‘Real Simple’ is dedicated to articles and ideas that are simple and practical. Yes, it has all the usual elements of a lifestyle magazine: advertising, fashion and recipes but also inspirational quotes and articles. But the recipes are simple and actually do-able with healthy, nutritious ingredients. The clothing featured is affordable and wearable for the average person. There are lots of ideas about a variety of personal and home based organization issues like storage, decorating, and clever tips and tricks for everyday improvements. 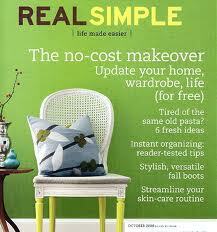 Have a look at the Real Simple website to get an idea of what is on offer. The Real Simple magazine layout itself is simple and uncluttered and the graphics and photography are always so beautiful and balanced. Yes, simple and practical and beautiful. This is what I appreciate about ‘Real Simple’. For years I got the paper subscription to this magazine, but my advice if you have an iPad, is get it for your Newsstand. The inter-activity (is that a word?) is so slick. It’s a treat! Tragedy can cause us either to become bitter or better. Scarlett Lewis lost her little boy Jesse in the Sandy Hook Elementary School shooting. She made a choice early on in the midst of her grief to choose life and to forgive. Not everyone can muster that kind of courage. But if it can be found, and shared, it becomes a very powerful message indeed, spoken from the most extraordinary and unique platform. Years ago, a friend of ours lost her husband in a robbery. At his funeral, she stood up and said something that I will never forget. She challenged us all (as well as herself, I would imagine) to choose forgiveness, not for the sake of the murderer, but for our own sakes. She said if we harbour hate it will fester and harm us. It will eat at us from the inside out. She was right, but at that moment, it was only she who could say it. 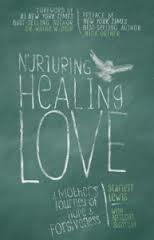 The title of this book comes from three words Scarlett Lewis discovered on her kitchen chalkboard after the shooting. They were in a misspelled child’s script – Jesse’s script. It was as if Jesse himself was encouraging her and telling her how she should go on without him. Finding hope amidst a series of comforting signs such as this, and benefitting from a solid faith, Lewis was able to move towards healing. 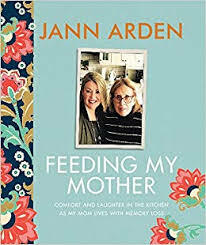 In this little book she openly shares her journey. She spoke at Jesse’s funeral and asked everyone who was at the service to consciously change every angry thought to a loving one – to always choose love. Her “Choose Love” campaign resulted in this book and the Jesse Lewis Choose Love Foundation which develops programs that teach children about the power each of us has to choose a life without fear and hate. 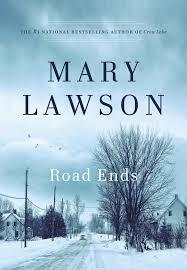 Road Ends is about a family that is unravelling. “Edward Cartwright, struggling to escape the legacy of a violent past; Emily, his wife, cloistered in her room with yet another new baby, increasingly unaware of events outside the bedroom door; Tom, their eldest son, twenty-five years old but home again, unable to come to terms with the death of a friend; and capable, formidable Megan, the sole daughter in a household of eight sons, who for years held the family together but has finally broken free and gone to England to try to make a life of her own.” The story is narrated by Tom, Edward, and Megan. Megan’s adjustment to life in chaotic, busy London when she’s only ever known rural Canada, is autobiographical. The author moved to London, met her husband and stayed to raise a family. She says she’s still confused about what to call ‘home’ and finds the Atlantic an annoying vast expanse separating her two favourites places. 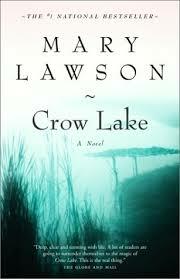 Lawson’s strength is in her ability to convey the nuance in complex family relationship using a very easy, economical writing style. Emotion is conveyed but it is never cloying. She makes me care about these people. I can relate to them. I long to understand them, I hurt for them, I cheer for them, I fear for them, and in the end I have a hard time letting them go. This little ghost story caught my attention because I so loved The Boy in the Striped Pajamas. Boyne has written a number of novels for young readers, this is one of his eight novels for adults. Written in Dickensian prose, this classic nineteenth-century spooky story made me wonder if it was all written ‘tongue in cheek’ since the opening line is “I blame Charles Dickens for the death of my father.” But is that meant to set the tone for the entire novel? I never did figure that out, despite a few other references to Dickens, but it really doesn’t matter, it can be enjoyed either way. Eliza Caine is led mysteriously to Gaudlin Hall in county Norfolk by a curious offer of a job as governess to two young children. But when she arrives there is no one about except for her young charges. Added to her concern, is not only the near accident upon her arrival at the train station, but also a number of strange things that continue to happen within the walls of Gaudlin Hall. As Eliza investigates she uncovers secrets that threaten not only her stay, but her very life. With all the spooky Victorian clichés intact (isolated mansion, bare-foot orphan in nightwear, wind and fog, strange servants, cripple in the attic), the book can either leave you with a tingling spine (if you believe in ghosts) or with a delicious sense of entertainment (if you don’t). For me it was clearly the latter. It’s not that I denounce all possibility of such paranormal apparitions, it’s just that I haven’t met any myself yet. 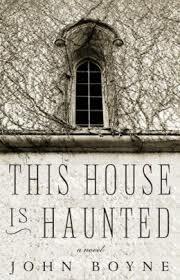 So I am safe in enjoying the story for just what it is – a nice atmospheric ghost story. Boyne is a good writer and he allowed me to revel in fear and fog while sitting by a crackling fire on a dark and stormy night. I had hoped for an original modern twist in the end but Boyne remained true to his gothic genre. The ending was exactly as it should have been – cue the creepy organ music. Angus McLintock is the most unlikely politician to hit Parliament Hill! This quote from the book describes his larger than life character: “you cannot be bought, you have no desire for re-election, you have no interest in higher office, you don’t care what people think of you, you actually do what you say.” How refreshing is that! Angus, a big burly Scottish engineering professor will do just about anything to escape teaching English to Engineers – even running for political office. Still mourning the death of his wife, he agrees to embark on an unlikely political campaign which should have been doomed to failure. Throw in a little love story, a monstrous hovercraft, some drams of good single malt, and a few games of chess and you end up with a novel that has a little bit for everyone. And if you want to carry on with Angus, there is a sequel called The High Road which came out in 2010. Just wanted to begin the New Year by thanking my blog followers. You are such a delight to me. 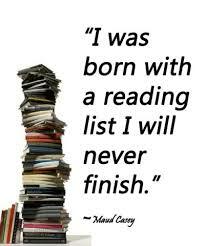 I love your comments, your suggestions, and your encouragement, and just knowing that you are there enjoying books! You are my friends, even though I have not even met you all! Next to my love for reading is my love for quotes. When I worked in a school library I would display a new quote on a whiteboard everyday. It was such fun to find the really, really good ones and share them. 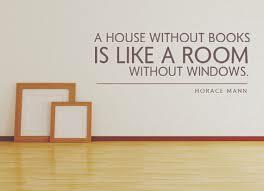 Quotes provoke discussion and reflection which is also exactly what reading does. The good books will always still be there. “Book pile angst” is something all avid readers suffer from, myself included. We want to have read it all, or be ready to read it all. We order way more titles from the library than we can actually get through before they have to be returned. We have books sitting on our bookshelves that we have not read yet. 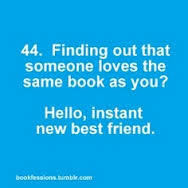 We hear of new books we want to read and make lists. We check out online book lists and keep an eye on what’s coming out soon from Amazon. One friend said she feared dying in her sleep if her rather tall bedside book pile ever fell over on her in the middle of the night! My challenge to myself and to you for this New Year is to enjoy books without angst or guilt. Ignore this common question and have the courage to not apologize when you hear it: “What? You haven’t read that yet?” Read books, revel in them, and don’t worry so much about what you have missed or what is still waiting in the wings. Live in the moment and enjoy the book you have in your hands right now. You will never be able to read everything. Be worry free and blessed by what you have read and are reading, and let the rest go. It’s simple. Just enjoy another year with books!